This year is very exciting for our 7th and 8th Grade Oak Grove classes. We are going to be exchanging artwork through email and snail mail all the way across the Atlantic. A former colleague of Mrs. Vance's moved to Switzerland and is not teaching art at a local middle school. She came up with the idea of doing post card pen pals with a US and Swiss school. The first post card we created was a welcome and hello postcard introducing the students to each other. The postcards have been mailed and both schools are anxiously awaiting the arrival of their pen pals letters. See below for more detailed information on the Postcard Project. Wednesday was the first day of 2nd quarter. 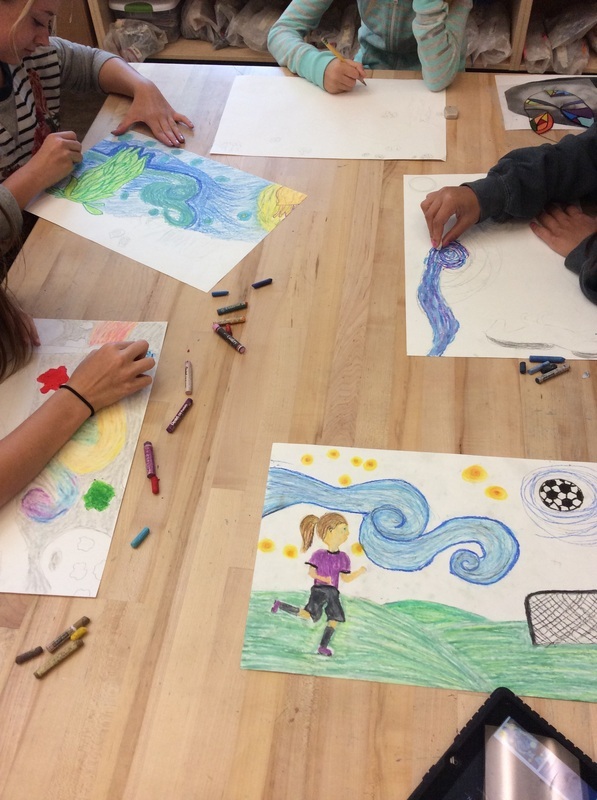 This quarter in 7th & 8th grade we focus on digital art. 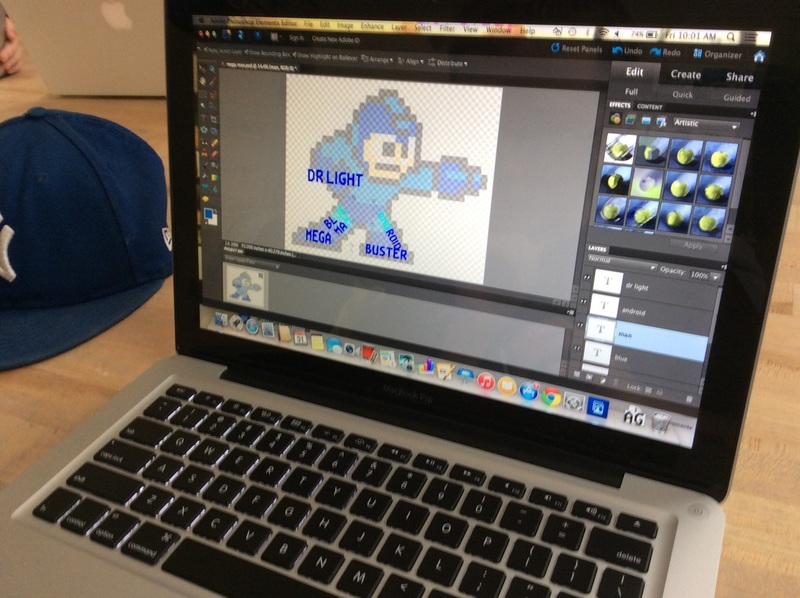 Using technology to create art. 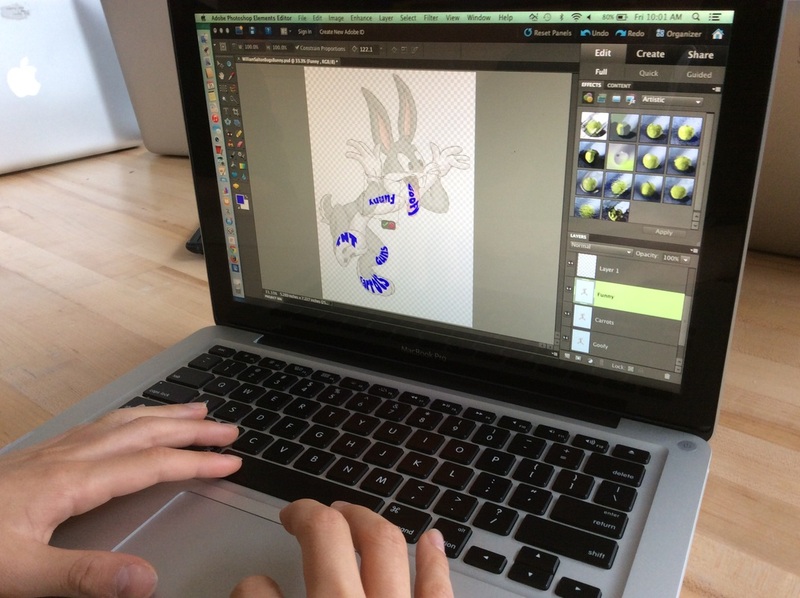 We will experiment with Photoshop, iPad drawing apps, Photography, and Animation. 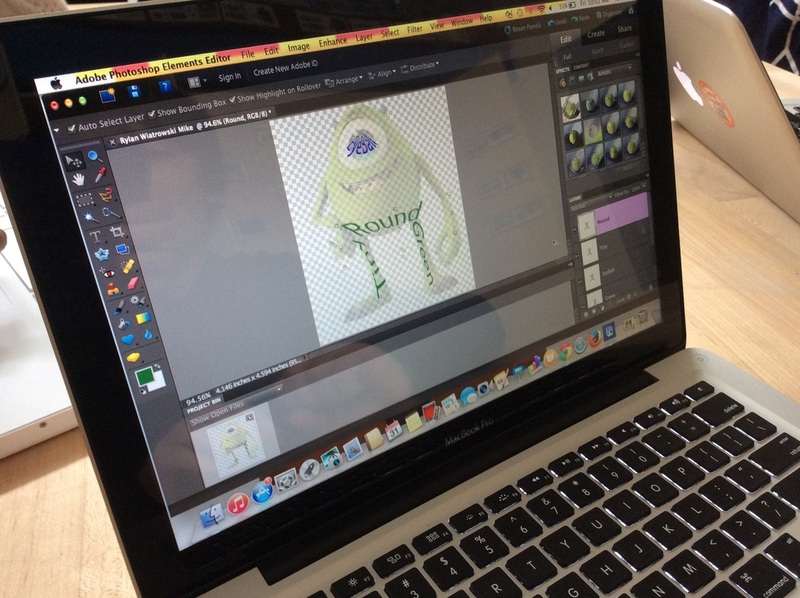 Stay tuned to see some great digital art from some talented students! 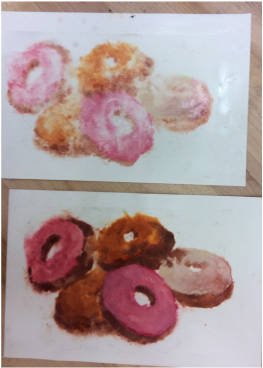 This week, we wrapped up a quick printmaking unit. 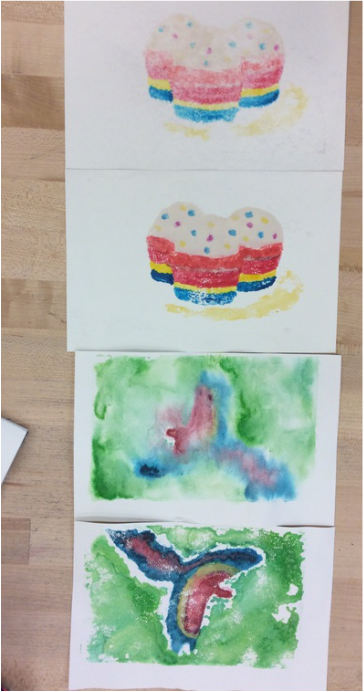 We applied some watercolor painting skills to a simple printmaking process. 2. scratch plexiglass with a fine sand paper or steel wool. The rough surface is necessary to hold the watercolor paint. 3. Place glass over photograph and paint! Think about negative space as you apply the laters of watercolor. Use a hairdryer or time to allow the layers of your painting to dry. Since there is no paper to soak up the moisture of the paint, you need to be careful with paint drips and pools. 4. 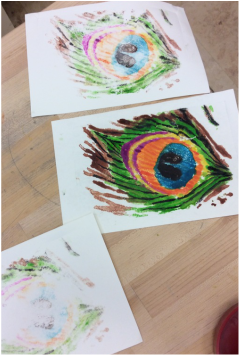 Once the painting is complete and dry, you can start the printing process. Soak a piece of watercolor paper in water. 5. Let the paper drip off the excess water and then press the paper gently between two sheets of newsprint or similar. Do not pat dry too much or the print won't transfer. You only want to take off the shiny surface water. 6. 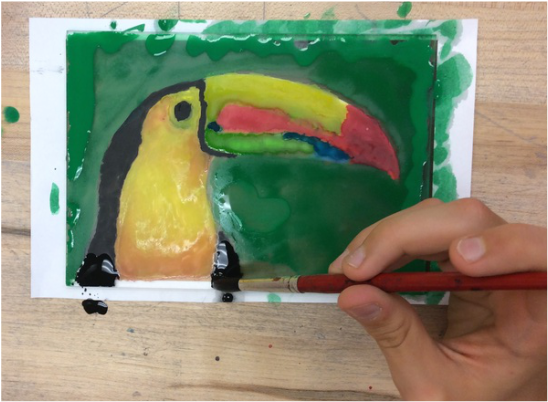 Place the paper carefully onto the painted side of the plexi glass. Use a barren or similar to rub the paper firmly. 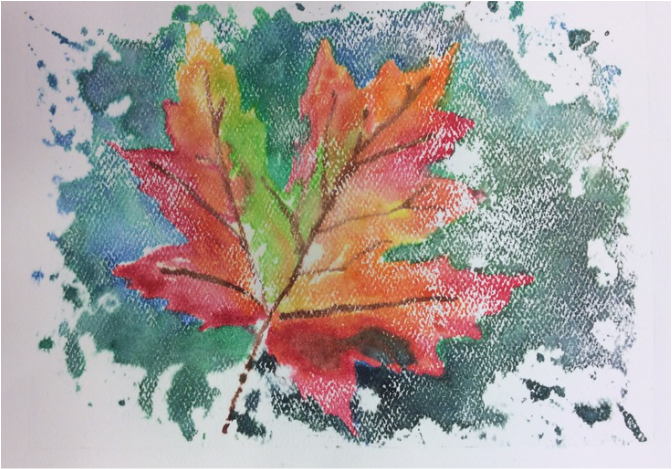 The moisture left in the paper will activate the dried watercolor paint and transfer it from the glass to the paper. 7. Repeat printing process until there is little to no paint left on the plexiglass. Sometimes the second print turns out nicer than the first depending on the thickness/opaqueness of the paint. 8. Clean your glass and try another one! 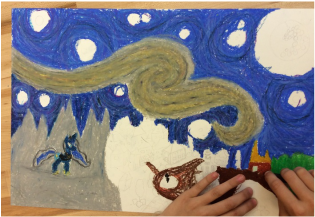 7th graders got to take Van Gogh's famous 'Starry Night' and turn it into their own using pop culture references. 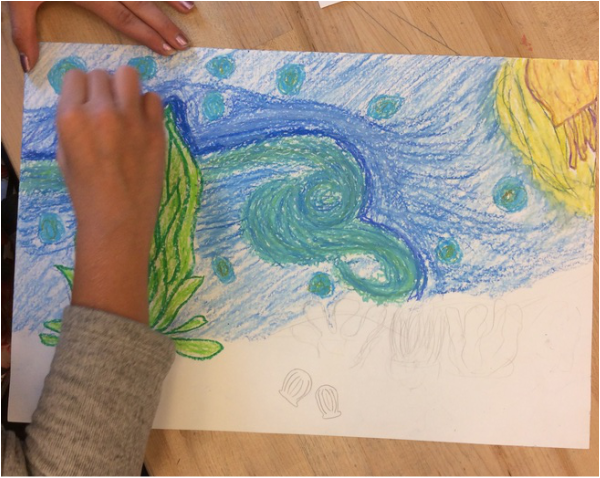 The only requirements were to keep the same rough composition as Starry night and to use the oil pastels like an impressionist. The drawings are turning out amazing! Can't wait to get them hanging in the halls early next week! Welcome back to a new year and a new art website. 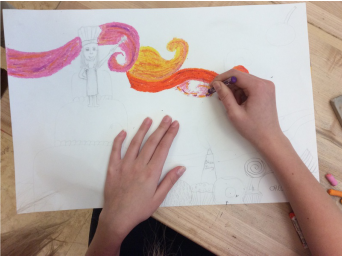 We are very excited to update you weekly about what is going on in the 7th grade art room!